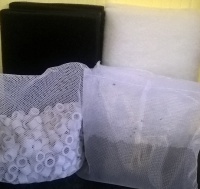 Genuine and Original Aqua One Foam sponge element to fit the Betta Duo and Betta Trio aquarium, designed to trap larger particles of solid waste. Can be rinsed clean in aquarium water. Replace every 12 months. 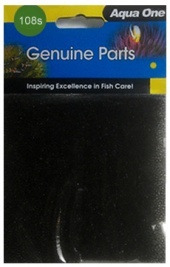 Genuine and Original Aqua One Foam sponge element to fit the Betta Mono aquarium, designed to trap larger particles of solid waste. Can be rinsed clean in aquarium water. Replace every 12 months. Cut to size blue sponge foam pad to suit the AquaReef 200. Guaranteed safe in seawater, rinses clean in a little aquarium water. Replace every 6 months.